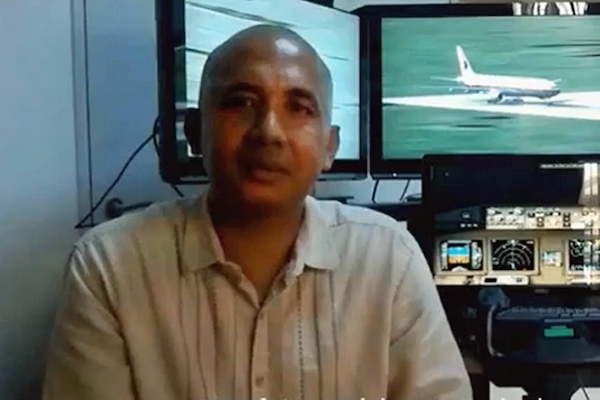 Does the MH370 Captain’s Flight Simulator Prove His Guilt? Last November, the secret Malaysian report detailing these findings were leaked to the public, and last month Australia’s final report on its MH370 investigation, “The Operational Search for MH370,” revealed further details, so now we can more fully examine the data taken from Shah’s flight simulator in hopes of understanding, first, what exactly Shah was doing during that simulated flight, and second, what his motivation might have been for carrying it out. What Shah was simulating. By examining some of the parameters recovered from the hard drive, we can tell that the five points in question were all created during a flight or sequence of flights. That is to say, either Zaharie could have been saving each file from a single continuous simulation session, or he could have initiated new flights from previously created save points. It’s important to note, however, that the save-points were not made in the course of a single continuously-flown flight, because the fuel levels do not match the distance traveled. It appears, rather, that in between save points Zaharie either manually changed the plane’s location, altered fuel levels, or both. The final two save points deserve special attention. They are located just 2 nautical miles apart in the far southern Indian Ocean. In both data files the plane has zero fuel and zero engine thrust. In the first, the plane is at 37,651 feet and flying at approximately 198 knots indicated airspeed, which is close to the speed recommended in the 777 Flight Crew Operating Manual in the event a plane loses both engines. In the second, the plane is flying much the same way but the altitude has manually adjusted to 4000 feet. In both cases the plane is actually in a climb. The fact that the plane is gaining altitude in both cases is consistent with a pilot who is hand-flying the airplane and so unable to prevent temporary departures from ideal speed and glideslope. In other words, as the plane gets going too fast he pulls the nose up, and if it starts going too slow he puts the nose down. It’s difficult and requires constant attention–the kind of thing that’s fun for a little while as recreation and dreadful if you have to do it for a long time as part of your job. What Shah’s motivation was. There are many reasons why people carry out simulated flights. When they do, the state of the aircraft at the moment the flight is saved should display certain characteristics that will offer a hint at the user’s motivation. If one wants to hone one’s skill at a particular maneuver, for instance, the saved file should show the plane either carrying that maneuver out or setting up for it. If the goal is to practice for an upcoming real-world flight, one would expect to see the plane flying in a way that conforms with operational practice. The problem with this explanation is that an actual flight to Jeddah would necessarily be carried out on autopilot, rather than by hand as the simulator session was flown. It’s possible that Shah was curious to see what it would be like to try to carry out such a long-haul flight with hand steering. It does not seem that he was trying to create a realistic simulacrum of an upcoming flight, however. By the same logic, it does not seem likely that Shah was practicing the disappearance flight, either, since that, too, appears to have been carried out on autopilot. So, then, the heart of the matter: what was Shah trying to experience at the two final save points? One theory is that he wanted to know what it would be like to point his plane into the remote ocean and just sit and wait for it to run out of fuel. But we know that he didn’t do this, because the distance traveled by the simulated flight doesn’t match the plane’s fuel load and burn rate. He got to these end points by manually moving the plane in map mode, not by laboriously flying there. His motivation must have involved doing something at those spots, rather than the process of getting there. This also rules out the theory that Shah was exploring putting the plane on an autopilot track to Antarctica. The second of these save points reminds me of “The Miracle on the Hudson,” the 2009 incident in which a US Airways A320 hit a flock of geese that destroyed both its engines and then glided to a safe ditching. That descent began at 3,060 feet, an altitude similar to the one selected in the simulator. If it’s true that Shah was practicing emergency procedures on February 2, rather than planning his demise, it must be acknowledged as a freakish coincidence that the simulated flight’s end so eerily foreshadowed MH370’s presumed end. But there are mitigating factors. For one thing, Shah was a flight-sim enthusiast who flew many kinds of aircraft in many locations under many circumstances. Investigators found data files for more than 600 simulated flights on various hard drives in his home. Given that number, it would frankly be surprising if one or two of them didn’t resemble the accident flight in some way. Also, bear in mind that Shah’s apparent suicide run into the southern Indian Ocean wasn’t his final simulation. On the same day that he practiced engine-out procedure on the 777, he also flew a historical propellor transport, the DC-3. And three weeks later, he played with a Boeing 737. This is hardly the behavior of a man with a monomaniacal obsession with his upcoming demise. We’ll probably never know for sure why Shah decided to simulate an engine-out descent over the remote southern Indian Ocean scarcely a month before MH370 disappeared. But if we look at the entirety of the evidence collected by the police–and indeed even if we look only at the evidence contained on Shah’s various hard drives–then the flight sim data comes to seem an unconvincing smoking gun. Jeff: You make a few good points, but there are also numerous errors in this latest post. For example, the cause of the “Gimli Glider” incident had nothing to do with a fuel cap. (BTW…777’s do not have “fuel caps”, like a Super Cub!) It happened because the initial fuel load was incorrectly entered; the fuel was calculated in pounds instead of kilograms by the ground crew and the erroneous calculation was approved by the flight crew. More importantly, as you well know, Victor has demonstrated that the 6 save points are in fact all from one simulation. There are several more incorrect statements I’ll leave for others to point out. Is there evidence in the data file that proves the SIM files were created on his computer? Was the computer connected to the internet? Jeff, it seems to me that the fact that simulator flights were done with autopilot disengaged might not be indicative of anything particularly? I would imagine that an experienced airline pilot, if they’re going to be flying a route in the simulator at all, would surely be doing so without autopilot. I’d assume that someone like Shah would already know in his sleep how to enter in some set of waypoints into the flight management system, and there would be little or no point or interest in then sitting there and watching the autopilot fly the route? So for a flight to Jedda for instance, even if he knows they’re almost certainly going to be flying that route on autopilot, Shah might want to try flying it manually, either just for general interest, or even as extra preparation? There are certainly potential circumstances in which some technical or maintenance issue could result in autopilot control being unavailable during the flight, even if they’re rare/unlikely. What seems more odd/hard to explain to me is why a simulated flight to practice engine out emergency procedures would ever be out in the SIO. If Shah was practicing maintaining aircraft control in a Gimli Glider or US1549 type scenario, would it matter very much over what geographic location/terrain the aircraft is simulated to fly over? One small correction. The Air Canada flight ran out of fuel because of incorrectly calculated fuel load, not a fuel cap. The ground crew fueled the plane using pounds of fuel when it should have been kilograms. This left the aircraft with half the fuel required. The aircraft’s fuel gauges were inoperable so the pilots had no accurate indication of their fuel situation. Crobbie: The data in question was found on a hard drive that had been disconnected from the computer. I agree it’s no smoking gun. Hell of a coincidence a month before the plane went missing, though, one would have to say. BTW, and maybe this is answered somewhere I haven’t seen, but what happened with those reports from back around the time of the incident that a cell tower somewhere had picked up an attempted call that seemed to be from the plane? Definitely agree. This is no smoking gun. (Definitely a hell of a coincidence, though.) By the way, can you tell me what you make of the (old) reports of attempted call(s) from the plane? If you are an all-in conspiracy theorist, you could argue that Shah was involved with spoofing the Inmarsat data to make it appear that MH370 flew south when it actually flew north, and did the February 2nd South Indian Ocean flight simulation a few weeks in advance as a red herring. 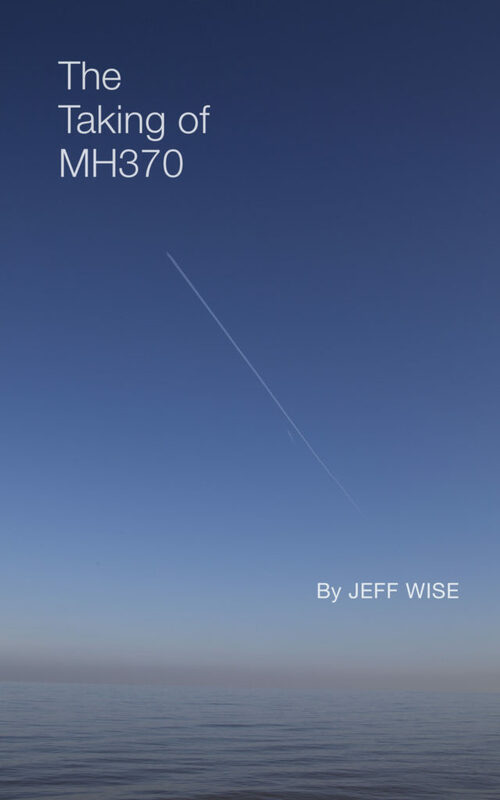 I have a lot of things to say about MH370 after doing extensive reading and research from Jeff Wise and many others. But in short here, I think you’re on to something… But what if that red herring was planted by the KGB/FSB without Z’s knowledge? It fits right in with the disinformation campaigns and the use of MH370 to distract the global news media from the Little Green Men in Crimea. The first officer’s cell did register on a tower near Penang. This was confirmed in the RMP report. As far as the smoking gun is concerned, I regard the flight sim data as a slam dunk relative to Shah’s culpability. Regarding it as merely one of hundreds of other simulations would be equivalent to a defense attorney arguing that his client’s fingerprints on the murder weapon are not relevant since his client’s fingerprints are on thousands of other items scattered around the world. @Rodney S, But surely if Shah were involved there would be more convincing ways to convince investigators the plane went south, such as a suicide note. @airlandseaman, @Mike, Thanks, I’ll fix the bit about the fuel cap. @Ian Malone, You raise a really key point. Why do this out in the middle of the ocean? The spot looks like any other. If he wants to practice engine-out procedure, why not just do it wherever he happened to be? (Presumably somewhere around 10N) The only thing I can come up with is that he zoomed out in chart view and picked a spot at random, the electronic equivalent of throwing a dart at a map. I feel obliged to reply to this post because the court of public opinion is as important in this case as a real courtroom. It must be considered that the subject doesn’t just concern a dead man who can’t defend himself but also the family of that man who are having to suffer the stigma, infamy and humiliation of baseless theories publicly discussed. If we treat this is as a legal case, conviction can only occur where the case is proven beyond reasonable doubt. There is enough reasonable doubt in the Flight Simulator data to create a hole large enough to drive through a fleet of supertankers. The 1st point is the sim itself. The points were allegedly extracted from a run using PSS B777 which is only compatible with FS9(2004) Capt Shah had FSX(2010) and a PMDG B777 generally considered to be the more accurate and certainly more updated model and yet he supposedly ignores that to plan a flight for a real aircraft using software he knew was outdated !! Also as an experienced sim user he would have been aware of Prepar 3D and X-Plane both of which are more suitable for real aircraft performance than FS9 which effectively is a toy more akin to the other aviation toys in his possession. I’ll further add that there is so much about the simulator which is publicly unknown despite the PARTIAL leak of the RMP report. I’ve highlighted partial because of 2500 pages, how many have we seen ? It’s too easy to speculate from incomplete information when the missing pages may well contradict or update the information we have. We have no idea what other add-ons were used and information taken out of context is too easily misconstrued. Add-ons can include; Scenery, Weather, Navigation systems, separate GPS, AI aircraft, ATC, Flight planning and more. Unless all the relevant information is THOROUGHLY analysed, no conclusion can be drawn. Victor has suggested fuel progression between the points.Wrong! The only progression is up to RMP point 3. Points 4 & 5 have zero fuel, so how can there be progression ?? Unlike others who have acquired FS9 just to prove a fanciful theory, I’ve been using it since 2009 and like Capt Shah,am aware of it’s pitfalls and unsuitability for anything to do with real aircraft. There have been discussions on forums(of which Capt Shah was a member) about just this and the conclusion is that FSX NOT FS9 has a limited use in instrument scanning training but nothing more. He is on record praising the graphic ability of PSS 777 and that is a clear indication of how he used his sim. I hope Ocean Infinity go directly to Victor Iannello’s X marks the spot just to prove it’s not there and to finally put this simulator nonsense to rest. Unfortunately, I doubt they will even begin a search once they’ve realised the limited and contradictory data they have to work with. @Paul Howard, Very interesting. Based on your experience with FS9 and PSS, do you see any possibility that the simulation was being run on autopilot? Baseless theories? I don’t care what simulator Shah used. It is completely irrelevant. What is relevant are the coordinates found there. The coordinates would be just as relevant if they were scribbled on a piece of paper in Shah’s wastebasket. The data points coupled with the timing of the transponder shutdown and initial diversion turn are compelling evidence that Shah diverted the aircraft. I do agree with you that starting another underwater search is as ill advised as was starting the initial underwater search. With the information from the leaked RMP report I’ve seen, it’s impossible to know what flight mode although the last point RMP5 suggests that selected altitude of 4000 may have been a/p because manual stick forward wouldn’t have specified. It’s important to know here that 4000 isn’t sea level & doesn’t suggest a ditch which is why I think it’s important to know about scenery add-on. The 1st thing I did after loading new scenery was to fly directly to that particular area to see how good it was. 3rd party add-on scenery can be almost photographic. 4000 suggests to me a height to view Antarctic scenery. Another important point to note is that although the data was extracted from Capt. Shah’s drives, we have no idea who created it. Was it a friend or family or were the points created by defaults ? They had from April 2014 with all the resources at their disposal & dismissed it as irrelevant to the search. It only appears in the Final as a consideration similar to the seismic & even then they’ve ignored the 2nd AGL of 37654, only a foot different to the previous point.The simulation was level at 2 points 2.5nms apart with zero fuel & a descent input of 4k of which we don’t know ROD. If someone over many weeks is ‘flirting’ with ideas of suicide or murder…does it really matter that they also thought about other things afterwards? But when the time came they/he made a decision to do (one option)that is on the list which fit with the present situation and mood. At this point, we still have no evidence that he ‘did or did not’…and none of what you presented clarifies his motivation either way. I was a bit ‘miffed’ by this article: it was like reading a novel that someone had ripped out the ending. It was just dropped bluntly, seemingly in the middle with no end or conclusion. Should we expect ‘part 2’ forthcoming? * why would he be bothered to repower the left bus? or worst case the SDU? * why would he be bothered to switch off the ACARS? * why would he even be bothered to delete those files? Those detailed actions (requiring meticulous planing) would be the last things to do on a suicidal mission. My intuition is that the answer to who is involved is around where the data come from and who had access to it first. If that part is not investigated, most likely it will be status quo in the next decades. I believe it is a smoking gun but only because my understanding of the phrase hss always been based on the following scenario. A man walks around a corner to find one man shot dead on the ground and another standing over him holding a smoking gun. The question is, is that sufficient to convict the person holding the gun of murder? Could he not also have walked around the corner and picked up the gun? Was it even murder, could it have been suicide? I have made a momentous discovery which seems to have gone unnoticed by the other group. Yes, the simulator evidence has proven to be vitally important. He entered a manual waypoint location S40.50, E88.00, and flew toward it until fuel exhaustion. Dr Bobby’s work on the fuel model and BFO interpretation have been invaluable. I have found that pilot started his FMT at a point 20NM before reaching ANOKO, by entering a manual waypoint with coordinates S40.50, E88.00. This was done to make it more difficult for us to reconstruct his flight path. He had tried out this procedure in his simulator. He crossed the 7th arc at S37.88, E88.52, which is almost in the centre of the DSTG’s hotspot! So much for drift studies. It also shows that looking for minimum BFO errors on the path south, was not the way forward. Evidently, a glide started from 39,000ft (he could have been at 40,000ft by the end of the flight) allows for a steep descent at some point, at 00:19 it seems, and still has enough energy to finish beyond the search area. Either that, or possibly the wreckage was missed by the towfish. 18:24 Pilot reconnects LH Main AC bus (re-energizing AES) and initiates 12NM right offset manoeuver to distance himself from N571, possibly done to confuse if military radar had tracked him flying along N571. 18:29 (N07.18, E95.68) Pilot replaces IGOGU with ANOKO and cancels N571 offset, aircraft flies directly toward ANOKO on bearing 268deg. maintaining FL350. 18:35.67, 20NM before reaching ANOKO, pilot replaces ANOKO with manual waypoint coordinates S40.50, E88.00 (S40:30:00, E88:00:00) Aircraft begins FMT toward manual waypoint calculated to be at least 170NM beyond fuel exhaustion. FMT radius taken as 7.5NM, turns through 81.2deg at 1deg/sec. 18:36 Pilot begins speed reduction from M0.84 to M0.68 (taking a nominal 2mins to complete) Maintains FL350. The 23 minute period at reduced speed M0.68 may possibly have been intended to give impression pilot was considering landing at Banda Aceh, in the unlikely event in the unlikely event he was being followed on primary radar, or (less likely) may have been done to extend fuel range prior to beginning M0.82 cruise at FL390. 19:01 Pilot ends 23 min reduced speed phase, increases speed to M0.82 and at same time begins climb from FL350 to FL390. M0.82 at FL390 is then maintained until fuel exhaustion. 3rd to 4th arc: 492.83NM, 489.81Kts average GS, 4.6Kts average TW = Mach 0.822 (Mach 1=590Kts) 4th arc crossing S17.2965, E91.6713. 4th arc to 5th arc: 484.12NM, 484.93Kts average GS, Zero average wind = Mach 0.823 (Mach 1=589Kts) 5th arc crossing S25.3217, E90.579. 5th arc to 6th arc: 698.18NM, 467.37Kts average GS, 13.5Kts average HW = Mach 0.824. (Average Mach 1=583.0Kts) 6th arc crossing point S36.8681, E88.7062. 6th arc to 7th arc: 61.5Nm, 434Kts average GS, 33Kts average HW = Mach 0.81. (Mach1=577) 7th arc crossing point S37.884, E88.516. Great circle distance from 19:41 to 00:11 is 2161.5NM, with journey time 4.5hrs = 480.34Kts. Plus 2.2Kts average HW = 482.54 = M0.821 average from 2nd arc to 6th arc, for average Mach 1 of 587.5Kts. MEFE estimated to occur 47.5NM beyond 6th arc, at 17:30, at S37.65, E88.56. A 16:1 piloted glide from 38,000ft would end at S39.25, E88.25, adjusted for headwinds, and assuming aircraft maintained same track. By comparison, a 13:1 glide would have ended just outside the southern boundary of the search area. Total distance covered between 18:29 and MEFE at 00:17:30 works out at 2761NM. Doctor Bobby’s fuel model predicts range and endurance for M0.82 at FL390, starting from 18:29 to be 2788NM, with MEFE at 00:18. The 27NM shortfall in range is due the less efficient speed profile flown between 18:29 and 19:10 (approx.) at the lower FL350. @Paul, in the case of all actual, possible or suspected cases of murder/suicide should the normal procedure be to abandon any investigation because the suspect is not around to defend himself? have made a careful study of the recovered debris, from the publically available photographs. I would like to draw your attention to Figure 82 on page 106 of the ATSB final report. You will note that a significant number of the recovered items originate from the right wing trailing edge. Photographs of the individual items (ref Malaysian MOT summary of debris items, found on their MH370 website) suggest a pattern of damage progressing from outboard right wing to outboard left wing; the most severe damage being to the right wingtip, ie. aileron fragment Item 26, the least severe damage being to the left wing outboard flap trailing edge fragment item 10. Item 12 was not formally identified by the Malaysian investigation team, however I have tentatively identified it as being a part of right wing bottom aft closing panel 661FB, located immediately outboard of flap hinge No8. The part is extensively damaged. Items 9 and 15 are particularly interesting. they were located on the upper trailing edges of the left wing and right wing respectively, immediately forward of the flaperon leading edges. Although the panels appear to have been forcibly ripped away from their fixings, their trailing edges remain basically intact, with the neoprene seals still in situ. I believe these panels could only have been separated from their fixing frames by an upward force, a force such as would be applied by the respective flaperon leading edges as the flaperons were forced upward by a force applied from below as the aircraft belly-flopped. The pattern of damage can be accounted for by a nose-up flat impact, right wing down, at a relatively low forward speed. The right engine pod is shattered, the nose breaks off, the tail breaks off and the aircraft rapidly sinks. It’s very unlikely Amy more recognisable debris will be found. The article quotes Deputy Transport Minister Datuk Abdul Aziz Kaprawi as saying, ““As enshrined in Annex 13 of the Chicago Convention, a final crash report should be issued within one year from the announcement of the search operation suspension.” The implication, I guess, is that if Ocean Infinity starts looking for the plane, then that will reset the clock for the countdown to deadline for the report. 6.5 In the interest of accident prevention, the State conducting the investigation of an accident or incident shall release the Final Report as soon as possible. 6.6 Recommendation.— The State conducting the investigation should release the Final Report in the shortest possible time and, if possible, within twelve months of the date of the occurrence. If the report cannot be released within twelve months, the State conducting the investigation should release an interim report on each anniversary of the occurrence, detailing the progress of the investigation and any safety issues raised. I have made a momentous discovery which seems to have gone unnoticed by the other group. You are confusing “unnoticed” with “ignored”. According to the RMP report the recovered file fragments were found on a Shadow Volume dated 3 February 2014. On that day Captain Shah was rostered to fly from Kuala Lumpur to Denpasar, Bali and return the same day. The timestamp of that Shadow Volume is very important because Windows does not automatically create Shadow Volumes to save fragments of deleted user files. The presence of those fragments in a Shadow Volume means that the computer must have been powered, the Flight Simulator application must have been running, and it must have been saving new files to the blocks of disk space that had been allocated to the deleted files. In its default configuration Windows can automatically create a Shadow Volume when it downloads and installs the updates to the Windows operating system that are periodically released by Microsoft. It does that outside normal office hours, provided the computer is powered and connected to the internet. However, that process is limited to Windows system files, and does nothing with files created by the computer user. My understanding of the MS OS different. Yes, the computer was running on Feb 3. No, MSFS was not required to be running when the volume was created. And Windows automatically writes over-written blocks of data to the shadow volume when a change is made after the volume is created. If the flight files were over-written after Feb 3, the content of the blocks of data as they existed on Feb 3 would be contained in the shadow volume. I shim in for Jeff has produced a sensible, good article again. I agree with @TBill it’s not about finding evidence on who was the culprit. That’s a completely different endeavour we better leave to criminal investigators. Imo it’s about deducing the most probable scenario in order to find the most probable crash-site. At least the plane was pilot-controlled till FMT. There is no other sensible, more logical explanation imo. There’s no reason, indication or evidence the plane turned into a ‘Ghost-flight’ after FMT or before. The most obvious and logical is the plane was actively controlled by a pilot from beginning till end. Shah was the only one on board we know of who had the flying skills and technical knowledge as an instructor pilot and geek on techinical details that could have performed all the actions the data suggest could have happened. He was the one who saved those eary similar data in one shadow volume flight. Particularry the way Jeff discribes the attitudes of the plane at the final two SIM-coördinates is telling imo. It seems to me he was rehearsing a steep descent from ~37.000ft to 4000ft without fuel with the intend to recover from this descent and to ditch the plane. Why else would he have set this 4000ft point? If this all could be proven it would have a huge impact on the width of the next search area. To me it’s not about Shah being the culprit. We just don’t know. But all odds point to him and that’s just something we cann’t and must not ignore. Just for the sake of finding the plane. Not to hang someone. That maybe will come after the plane has been found someday. First of all the plane has to be found. Based on the Inmarsat data, the debris (particularly the flaperon) that has washed up, and the discovery of the February 2, 2014 South Indian Ocean flight simulation, I think it’s safe to say that the great majority of investigators believe that the plane DID fly south, and leaving a suicide note may have been contrary to Shah’s religious values or could have adversely affected a life insurance payout. However, to take the “MH370 flew north” hypothesis seriously requires, in my opinion, a better explanation of how the planting of the debris came about. Dennis, I realised that to be the case. Funny thing, human nature. If it doesn’t fit in with one’s preconceptions, then best ignore it. The problem is they are ignoring the truth. The truth hurts most when you don’t tell it. They won’t find it at S35 or any points north. Don’t worry, I’ve switched to the email route now. First of all, regarding Paragraph#1 above, my alternate view is Z has more “red flags” than 36-hole golf course. Yes no slam dunk proof (at least as far as us outsiders who do not have access to all of the state-secret info). Many of us feel this flight was intentional diversion, quite possibly including many maneuvers (loiter etc) between 18:25 and at least 19:41. But the Bayesian analysis, and almost all professional-caliber flight route predictions have basically assumed unintended ghost flight (except VictorI/RichardG…thankfully we get one IG sub-group at least considering intentional path). But overall, the intentional flight path option is not getting adequate study, even as a possibility. Please back up your understanding of the Windows OS with an authoritative reference. It seems you are reading the same novels that I read! Thank you for the link to Tomasz Szynalski’s explanations of the Windows Volume Shadow Copy Service (VSS). According to mr Szynalski your understanding of it could be essentially correct. Except for your last sentence, because the shadow volume did not contain complete files but only some small fragments of those files. According to your reference, the shadow volume contains a copy of the Master File Table at the time the volume was created, and restoring the complete original flight files is just a matter of a few mouse clicks. We have to assume that the RMP’s cyber experts were not aware of that possibility. @airlandseaman, Many of Victor’s objections seem to me essentially picayune, but there are three that I think are worth addressing. First, he writes that “the six recovered data sets are unique in that they alone, along with two other data sets indicating a plane on the ground at KLIA, were found in a shadow volume of the MK25 drive. (In Windows, blocks of data are automatically saved to a shadow volume when data is over-written.) That makes the grouping of the flight files unique among the hundreds of others.” I see no reference in the secret RMP file to this uniqueness. Third, and most significantly, Victor claims that the recovered flight data is consistent with autopilot flight. My experience with the PMDG 777-200LR add-on for Flight Simulator 9 has been different. When I flew the airway from GOBAS to GUNIP on autopilot, pausing to save my flight information as close to 3N as I could, the heading I recorded was 309 degrees, and my location was within 200 feet of the airway. The recovered data for 3N shows a heading of 305 degrees and a position more than 600 feet from the airway. These discrepencies are too big for autopilot flight. It gets worse. Victor writes that “The next data set at latitude 5N has a track angle that points exactly towards waypoint VAMPI on airway N571.” In fact, the recovered data point is more than six nautical miles from N571, and the heading is two degrees off what would be required to reach VAMPI. I do not see how this save point can be explained with reference to autopilot flight from waypoint to waypoint. Not even remotely. I understand the desire to find some scrap of evidence that the plane might have gone into the southern ocean, given the failure of the seabed search and the absence of debris biofouling, but unfortunately Victor’s simulator claims just don’t hold up. Some people are trying to wash their hands. The intent of Annex 13, 6.5 and 6.6 is to share the findings asap to prevent similar accidents elsewhere. When there is no findings to share what is the point to rush for an empty Final Report? I concur that they are not obliged to issue a report within one year if they have nothing to share. It appears the new Polish commission investigating the 2010 plane crash in Smolensk, Russia, that killed the leadership in Poland, including the president, is discovering a cover-up by the previous Polish investigators of the crash. The Polish Defense Minister, when asked if Russia could attack a NATO country replied that Russia will attack in the Far East first to distract the Americans. To many Americans, it sounds far-fetched that Russia would consciously choose to wage war against a NATO member—Estonia, Poland, anyone. Many think a misunderstanding leading to war is more likely. Do you think the Putin regime plans to start a war against NATO? They don’t exclude it. The first move, I think, is Ukraine. But I don’t exclude a military attack in the Far East. They want to distract American attention, prolong the front of confrontation in order to create a favorable situation for aggression in Europe. If you look at the map, Russia is always helping the enemies of America: deep ties to North Korea, involvement in Afghanistan and Syria, backing Iran, and so on. @airlandseaman: Thanks, Mike, I’ll give this a read. – He was a training Captain – in the left seat and in the MAS sim. He would frequently invite his airline students for extra practice on his home sim due to the MAS sim being fully booked with line training. He would also invite friends and family (including children) around to play. – There is no evidence that the Captain created the sim points, another person may have had access/may have played while the Captain was out of the room. Anyone who puts forward the accusation he had his ‘fingerprints’ on it and uses phrases like ‘smoking gun’ wouldn’t have a leg to stand on in a court cross-examination. – Why would he delete the sim routes? Because it was only an ‘example’, only ‘play’ – not worth keeping. – The computer drives were in the FBI’s hands for ‘help with analysis’ prior to the MYG’s if early reports are accurate – argue that with yourself as you wish, but it was reported. Another reason the data cannot be said with full confidence to be solely the owner’s creation. Spending so much time and effort on attempting to ‘prove’ the sim points whilst ignoring the possibility that ‘The Captain Did It!’ premise may be totally invalid seems so futile and wasteful when there are other areas that could be fruitfully explored in depth, given a much more open mind. An attribute that seems to have been lost quite a while back by some people interested only in playing their ‘game’ with each other. Almost eight years after the Pel Air Norfolk Island accident the final report has been released. The Captain essentially copped most of the blame. No surprises here. However unlike 9M-MRO the location of the main wreckage was known from the start and the Captain is alive. Doesn’t bode well for the timing of the ‘final’ report for 9M-MRO. And have any of those been suggested by the people who play ‘Crucify the Captain’? Otherwise you have missed the point completely. I interpreted your post perfectly. You are not looking for diversity of opinion. What you are looking for is no opinions relative to Shah did it. I suggest you move out of your parent’s home, and get a broader range of real world experience. On the contrary, diversity of opinion is what the people who like to play the ‘Crucify the Captain’ game do not have. For them, there is only one answer to what happened – the Captain did it – and in their bias they dismiss any facts or situations opposing that view as irrelevant. Including the points I listed above, which I note you do not dispute. Every view should be considered on its facts and merits, both for and against. The Captain may have played some part, or he may not have played any, but omitting to take account of relevant facts or situations which weigh against a proposed theory is bias, not diversity. And I suggest you confine your comments to the subject(s) being discussed, and avoid resorting to Ad Hominem attacks when you run out of solid argument and good judgement. but what are those? It’s completely unreal that Captain wasn’t involved in this. Thanks Jeff. Like so many things about this flight, it’s disturbing and yet I can’t stop paying attention. If not for the inept actions (reactions) from the authorities on the ground that night and (or) the subsequent chain of disastrous decisions to locate the plane during the following days, it would be less difficult to assume Captain Zaharie’s guilt. The data points are viewed by many as an unrealistic coincidence, thereby elevating them to proof of his guilt. Logically, the fiasco created by a series of officially unorthodox decisions to contain, save or locate the plane should also be seen as coincidenally unrealistic. There is no doubt the outcome of MH370 would have been drastically different if the ball had not been dropped so many times that night.